ONLINE BOOKS, Lux-Verbi and Courtesy Harvest Time. A very readable and inspiring book that covers the Old Testament from before creation to King David. Takes up the story at King Solomon and goes to the close of the Old Testament. Declared by the Library of Congress to be the best book ever written on the Life of Christ. The exciting story of the early Christian church. THE GREAT CONTROVERSY between Christ & His Angels & Satan & his Angels" Amazing account of History and Prophecy! 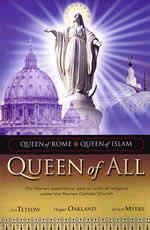 This book online in many LANGUAGES! Come begin a Journey into Time; To Pitcairn and Beyond to other Lands and Places! Are you haunted by guilt and shame? Good News! Jesus can set you free! BIBLE READINGS FOR THE HOME CIRCLE The book that has helped millions of people in their study of the Word of God for nearly a hundred years. A jewel of a book about the parables of Jesus. Jesus' Wonderful Sermon on the Mount. The book that can change your future. One of the Most Complete Books on quitting tobacco you can find. And it is all carefully and simply explained. Break free and stay free! The Mark is Real— The Warning is Clear— You Need to Know it! Evolutionary theory has ruined the lives of millions. 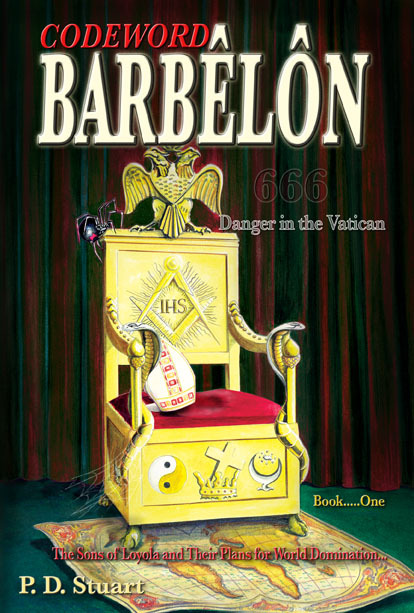 This book will help eliminate its grip over the minds of those who read it. All the signals are go! Why it is almost here: Why it is inevitable! You can trust God. He is the best Friend you could have. Find in Him the peace and happiness you have sought for years. Every thing that Congress does is important; and, as you will learn in this book, it is close to making some important decisions that most of us are little aware of. For Our Catholic Friends! The Song of the Blessed Virgin is a Sweet Song; A Song that Brings us Encouragement! Amazing True Story of a determined Search for Truth, A Terrible Accident and a Miracle of Healing. A Bold Challenge to Unbelievers, Atheists, Pagans and Skeptics! Is the Bible only a collection of myths and legends? Can it be proved to be accurate? They just had to set the dear lady straight! A mechanic meets a real challenge! A Rebellious Son, A Mother’s Love; lead to an adventure in truth. This is the most amazing portrayal of the events of the Passion of Christ ever written. Read the true story for yourself. The Mighty Word - To solve your problems. God's Word Created the world! It has Power to change your life! that those who wish to leave them will not be able" (CL 11). The Bible and the Spirit of Prophecy has revealed the truth about country living-- it has always been God’s plan for His people! 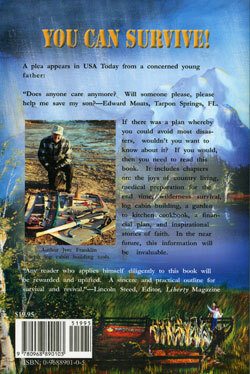 In fact, your survival depends upon understanding His call to country living! Yes, the Lord will provide for His people during the time of flight (Jacob’s Time of Trouble), but there is an length of time between the National Sunday Law and the close of probation when the remnant will be responsible for growing their own food and providing for those who escape the cities at the last moment. This world is not our home. We are preparing to leave for our home in heaven. God leads His people on, step by step; out of the large cities, then the smaller cities, to rural homes, to country homes, to secluded homes among the mountains, into the wilderness (where He supplies the needs of His remnant by ravens, angels, or manna), and finally heaven! 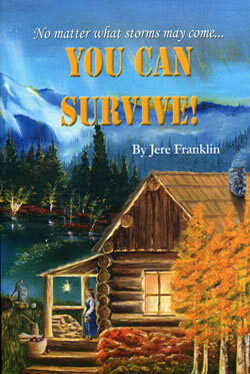 Jere's book is available for just $22.95! Books and charts -- You Can Survive! is "a practical outline for survival and revival," according to Lincoln Steed, editor of Liberty Magazine. A large Closing Events Chart clearly delineates the prophesied sequence of end time events, erasing any confusion about when we will need to grow our own food while doing missionary work. The Lord will supply our necessities after the close of probation.